Attention, U.S. residents: You’re about to regain the hour you lost last spring. That’s because we’re no longer going to be saving daylight; we’re returning to standard time soon. Resetting clocks every few months has its annoyances. If you forget to change back to standard time in the fall, you might turn on your TV and discover that you’ve missed the first hour of that game you wanted to see. When clocks “spring forward” in the spring, people who make a habit of arriving at church fashionably late are chagrined to find that they’re going to have to endure the entire service. Those who live in Arizona or Hawaii have no excuse for being late or early, since they observe year-round standard time. “What time is it?” has become an increasingly complicated question. Back when people used sundials to determine local time, villages that were only a few miles apart had different opinions of when noon was. It didn’t matter much, though, since one rarely visited that neighboring village. With the growth of international trade and travel, there was a greater incentive to get on the same schedule. Greenwich Mean Time was an attempt to get the world to synchronize its watches, so to speak. The general idea is that there is a one-hour difference for every 15 degrees of longitude. 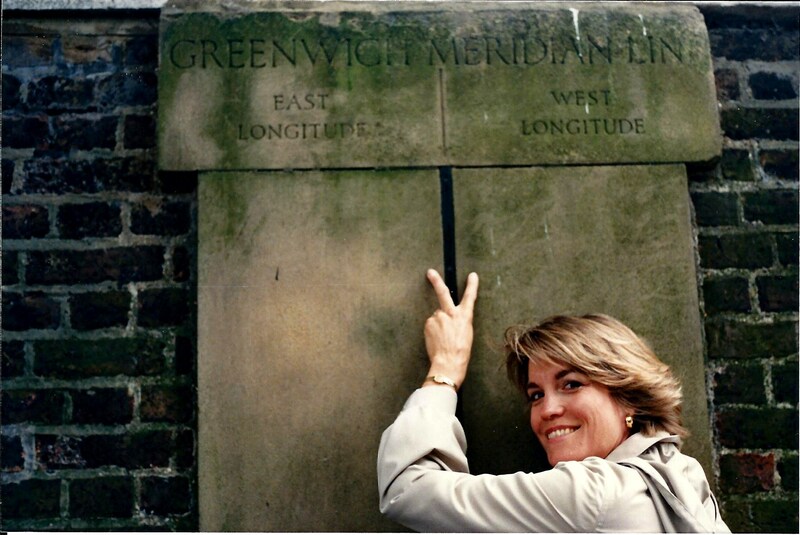 The so-called prime meridian — 0° longitude — runs through Greenwich, England, which is not very far down the Thames from London. The location of the prime meridian was arbitrary, of course, but in 1884 an international conference decided to humor the Brits and let them think the world’s day started there. It’s probably worth noting that the one hour = fifteen degrees concept gets ignored in a lot of places. China, for example, has one time zone for the entire country, which covers 60 degrees of longitude. Like most Asian and African countries, the Chinese don’t bother with daylight saving time, either. The idea of adding an hour of light at the end of the day during summer months wasn’t seriously considered until the late 19th century. It was implemented during World War I as a way to conserve energy resources, and has been repealed and resumed many times since. In 1966, the U.S. government tried to simplify things by establishing the Uniform Time Act. One of its provisions was that clocks were set forward on the last Sunday in April and returned to standard time on the last Sunday in October. States were allowed to opt out of daylight saving time, provided the entire state did so. The Act has been amended several times since, including an experiment with year-round DST during the Arab oil embargo of the 1970s. The most recent change to the law took effect in 2007, when the beginning of daylight saving time was moved to the second Sunday in March and the ending was pushed to the first Sunday in November. One of the arguments for reverting to standard time after Halloween was that kids could then do their trick-or-treating during daylight hours. Seriously. There may be a lot of studies that support that view, but based on anecdotal evidence — the traffic at my front door — kids still show up after dark. That’s just an hour later than it used to be. This entry was posted in Science and tagged daylight saving time, Greenwich Mean Time, Uniform Time Act. Bookmark the permalink. Enlightening! Or darkening….. depending on the “time”…. Thank you again, Tom for a well written informative article! Thank you, Shirley. As you know, scientists now have all sorts of sophisticated devices — atomic clocks and whatnot — that they use to keep track of time down to the kazillionth of a second. I didn’t go into that in this post, partly because I’m awed by it. I feel like I’m doing well if I can remember how to reset the clock on our oven. I remember a drought year when one chap complained about DST: If there’s anything I don’t need it’s another hour of sunlight baking my brown lawn. On a cross-country road trip in my youth, I didn’t know about the Arizona exception and was, in my mind, cheated by the clocks out of an Egg McMuffin because it was an hour later than expected – lunchtime. Still bitter, apparently!